I think most Neopians will agree that ‘The Faeries’ Ruin’ was the best plot of recent times, but what exactly makes this plot different? What makes this plot something to yell from the hilltops, but something like ‘Atlas of the Ancients’ to crash and burn? How come people always talk about the Lost Desert plot or Tale of Woe like they are some shining beacons of purity in the Neopian skies? This article will strive to identify the key aspects of plots that makes them either successful or a flop, with the mindset of being a reference for future plotters, and maybe even TNT. Before moving into the more precise aspects of a plot, we must begin to focus on the four core principles of plots; how they begin (Introduction), how long they go for (Length), when they go for (Date), and prizes. If these principles are done poorly, even the best plot in the world will be remembered with a grain of salt. How a plot is introduced can make all the difference, and depending on the level of surprise may act as a memorable header or a weight to be carried around until the end. Take the most recent plot for an example; at first Neopians expected nothing but yet another boring Faerie Festival, but instead TNT shot us into the beginnings of a plot. Speculation ran rampant; was this going to be another trophyless mini-plot or something more? This anticipation forced discussion and surprised Neopians. But how does this compare to the introduction of the ‘bad’ plot Atlas of the Ancients? In the Atlas plot, images were found before its release of the plot, which caused some anticipation, but not the same level of anticipation. This is due to the fact the plot just jumped right onto the scene with no build-up. First step released first day, no mysterious follow-up, no real ‘drive’ for Neopians. What is more, the FAQ essentially revealed the whole plot, the length, format, everything. Nothing was left up to chance, and everything was placed on a platter for Neopians. This kind of introduction essentially meant that Neopians were not surprised, just disappointed. Olden day plots all had their own ways of introducing themselves, such as a signup page or similar, but the best of these is seen in the Lost Desert plot. In the Lost Desert plot, scrolls were ‘released’ into the news long before the event itself. While these scrolls never saw themselves into users’ hands, they acted as a sneak peek into the plot, with fake TNT ‘restockers’ playing the part of a living introduction. This form of introduction is unique, interesting, and most of all surprising. This introduction works so well since users didn’t know it was an introduction till after the plot was finished! It's earned itself a memorable place in Neopets history. The length of a plot is very important; too long and Neopians may get bored, too short and an otherwise good plot may get ruined. Length doesn’t just mean literal time in dates, but moreover it means the number of steps. Although large numbers of steps will do nothing to save a bad plot, too few will cause problems. Take the Return of Doctor Sloth plot in 2008 for an example of this. The Sloth plot only had three major plot steps, and three major battling steps. While the plot was highly anticipated, the battling was good, and there was one very hard puzzle, most players were left asking for more. The plot was a very well made plot, but the issues with length made people wonder if there was going to be a sequel or anything to add to the length. This problem was even more evident in the Journey to the Lost Isle plot. This plot only went for a month, which is very short by plot standards, with only three puzzles and three Battledome opponents. Users expected an epic journey to unlock a new land, but instead were met with a rushed half done tale which most expected to have had a fake end. The Lost Desert plot is one example of a plot length that went for a very reasonable period of time. Besides the fact the steps were long enough to tide the users over, the plot itself went for three months, with a fake ending to boot. This length was plenty of time for the users to really get to know the characters and really enjoy the grandeur of the plot, but as stated before, duration isn’t everything. The Tale of Woe plot only went for two months, but managed to cram enough puzzles and battles in to satisfy most Neopians, eventually. With fifteen Battledome challengers and a mess of interesting puzzles and mazes, this plot managed to be the best squished plot. Besides length, the date on which a plot happens is very important to its lifecycle and memory. A plot in December, for example, may have more users playing it since it has the Christmas break for school students, and working people may take some time off to spend with their families, while a plot in April may be marred by the fact it is midyear. Another problem with date could be the fact of other events interfering with the plot. The Journey to the Lost Isle plot, for example, halted early to make way for that year’s Altador Cup, effectively ruining the pacing and forcing a rushed end. This problem can be easily alleviated, but it takes a lot more work on the part of TNT, work they undertook during the recent Faeries Ruin Plot. The risk with the Faeries Ruin was seen when it intercepted the Games Master Challenge, and users were afraid that the plot was going to end early because of this. Luckily for users, both events went on simultaneously, allowing users that enjoy both to be happy. If TNT had cancelled the GMC, some people would have been annoyed, especially if it was their favourite event. Similarly, if they ended the plot early, the ending would have seemed rushed and may have ruined the users’ memory of the entire event. Date can make or break a plot, especially with events like GMC, Altador Cup, and Daily Dare taking up large portions of the year. But when done well, it can help strengthen the plot without really doing anything at all. Prizes are the conclusion of any plot, and will echo most out of all plot related points. They make people remember the plot, and gauge what users will think. There are many ways for Neopets to give out prizes, and many kinds. Item prizes are the core of any plot or mini-plot on Neopets. When you complete a plot, you get some kind of reward, be it a set reward from a mini-plot or olden day plot, or the more modern ‘prize shop’ concept. The ‘prize shop’ was created and introduced after the Curse of Maraqua plot as a way of ranking user participation and allowing for users to choose their rewards. Before this, the “top users” were just given set items, which were released in very limited number and often didn’t truly reflect the amount of work completed. The Curse of Maraqua plot changed all this. Good item prizes have been important ever since then, and a prize shop allows users to pick and choose exactly what they want themselves, be it thousands of 1 point key Maraqua key chains or a 150,000 point full dark blocking Ring of the Lost. For a prize shop to work, there needs to be some variation in the users after the plot’s conclusion. This is normally done with either hard puzzles, like in the Lost Desert plot, or Battledome such as in the Tale of Woe. Users have become so used to this concept that when a prize shop is replaced by set prizes, it annoys them. In the Atlas of the Ancients plot, for example, set prizes were given out based on a very strict set of guidelines, meaning that the curve for the top prize was no longer based on how well you did, but WHEN you did it. This caused users to complain, thinking they had the wrong trophy. My account was one of those who had their trophy updated to magma, receiving the sought over steam jacket as my reward. The prizes themselves from the Atlas of the Ancients plot were very good items, well drawn and interesting, but since the prizes were given out mid-plot and with a very suspect set of guidelines, the outstanding quality of these prizes was squashed by their delivery method. Giving out prizes mid-plot is hard at the best of times, but can be very rewarding as bonus gifts. The only problem arises if these prizes interfere with the prize shop dynamic. The Faeries Ruin helped with this, improving upon the formula of Atlas of the Ancients by allowing bonus prizes to be awarded alongside a prize shop as motivation. Another concept coined during the Curse of Maraqua, the sidebar provides an everlasting memory of an event on Neopets. These collectable memories are often completely free, even with only one step completed and act as not only a way to remind users of the plot, but also allowing them to enjoy Neopets in a way more like their own personality. Sidebars become rare over periods of time, with people being jealous of older sidebars such as Lost Desert or Curse of Maraqua. Sidebars offer a way for plots to be remembered in a positive light, even if the user did not initially enjoy the plot. Sidebars take users’ favourite parts of a plot, such as the falling of Faerieland, discovery of Moltara, or the haunted graveyards of Neovia and frame them on every page the user visits. Sidebars are unique in that, unlike avatars, they are normally time limited and the number a user owns is directly related to their age on the site. While someone on the site for ten years may have every single one, a new user at 24 months may only have one or two. Much like sidebars, avatars are given out freely after a plot is finished to all users who have completed a small section of the event. Avatars are more popular since, unlike sidebars, they can be directly seen and swooned over by the general Neopian populace. Avatars don’t need to look good to be wanted by collectors, but a well done avatar can add levels to the perception of the plot years after. The avatars from the Curse of Maraqua plot, for example, are commonly used during the Cup by Maraqua or Krawk Island members, while the Tale of Woe avatar is loved by Krawley fans. The promise of avatars is part of what draws users to a plot, and serves as a lasting reminder of the entire event. A bad plot can sometimes be saved by a good avatar, at least in the eyes of collectors. Another draw for plot goers who want prizes is the trophy. Unlike avatars, trophies are always in plain view, and there is no limit in the number users can show. They act as a definitive reminder of plot participation, and act as a sort of comparison point between users. A good trophy should change based on points, and go from being really bad, to being powerful and grand. A good example of trophy spread can be seen in Hannah and the Ice Caves. While the trophy itself isn’t the most beautiful, the scaling is perfect, but a little over-enthusiastic. While no users have been known to get past the forth trophy, the trophies themselves slowly improve in both title and complexity. Moreover, the trophies are based on user teams, and truly reflect the difference of experience for users. Similarly well made user choice based trophies can be seen in the Curse of Maraqua trophies. Sometimes trophies take a common basis; the Return of Doctor Sloth trophies, for example, are ever increasing levels of spaceships floating on a pedestal. This simple changing of size and colours allows users to identify easily the level of user participation. Most of the time, trophies are done very well; however, there is also one main example of when they are not. Ignoring point distribution, and who gets what trophy; look at the trophy for Journey to the Lost Isle. In this plot, users only received one type of trophy. The same one, no matter if you get one point, or two thousand points. This means that the user’s participation doesn’t seem as important or compelling for users. Besides these core aspects, there are multiple other aspects of plots that make a plot either a good one or a bad one in the eyes of users. It may be common sense to say that a good story is important; however, it does not make or break a plot. Stories in Neopets can sometimes be based on obscure books and are often full of pop culture references for laughs. A storyline on Neopets has to be entertaining enough to reach a wide range of users. Make it too mature, and it will go over the head of younger users, too immature and older users will feel alienated by the content. Balancing story depth with popular culture references is a good way to keep all ages playing in a plot. Humour is often a way to colour a story, with a good placed dose able to keep the plot fresh. Inside the storyline, a good plot should have good new characters, along with cameos from past plots. Having a good plot means having good characters. Keeping users entertained with puzzles and battling is one thing, but making users feel for the heroes and dislike the villains is key for driving motivation of users to see the next stage. Characters should be unique to each plot, like a trademark that can be associated with the plot, and even with recurring villains, new heroes should pop up to supplement them. To be interesting, the heroes should not be stereotypical, nor should the entire path of the story be seen from the moment the plot begins. For example, while we knew that Hanso was going to be a hero despite being a thief, few could have imagined that the mastermind was meek Xandra. Users expected everyone as being a possible suspect, everyone but Xandra. 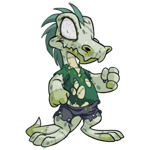 The plot threw off the possibility that it was a Neopet with the wraiths, and only a few users noticed that each spell dropped Faerieland further. The heroes were fighting during the spell, doing their best to beat the wraiths, so much so that when the spell completed and it was revealed that Xandra was the villain, the characters' surprise was believable since users were surprised too. These relationships between characters are key to the success of a plot’s storyline. Hanso and Brynn’s relationship is but one example. Other examples can include the underdog rising, a defeated Lord Darigan once more rising up to the top of his kingdom or a group of ‘desert scarabs’ turning into heroes. Seeing these lower characters raised up to the level of hero and eventually praised by all those around them is uplifting for the user, and helps shine positively on the plot as a whole. New characters may make the plot, but cameos make users get that sense of remembrance to past enjoyment and nostalgia. King Jazan and King Altador in the Faeries Ruin is a perfect example of cameos done right. They are around just long enough to bring their fan clubs onto the scene, but not long enough that it becomes “Altador Plot 2.0”. A cameo can be hidden in the background, or brought into the foreground, but should always remain just that, a brief appearance of a known person. While it is possible for an old character to come back, normally on Neopets these just include Villains. Dr Sloth is a key example of a love-to-hate villain of Neopia, who has been in multiple plots and is part of Neopia’s grand history. The same does not go for heroes. Normally a repeated villain is only seen a handful of times in the plot, be they scheming or plotting, but it is the heroes who show up all the time. By putting the main spotlight on an old hero, many challenges are faced. For a repeat hero to work, the hero must be memorable, likable, and associated with a good plot. The most recent example of a re-used hero is ‘Roxton A. Colchester III” who most recently appeared in Atlas of the Ancients, after previously appearing in the Journey to the Lost Isle. This wasn’t a good choice, however, as Neopians already didn’t like his first plot. This dislike over the last plot smeared his second plot before it even began. The best done cameo in plot history is actually the “Angry Yurble –” As most users complete the Altador Plot at some stage on Neopets, seeing this familiar face is very enjoyable for most players. Being introduced in the Lost Desert plot, and strung up in most plots since, this lovable cameo is the best example of this done well. In Neopian plots, users are given the reins and allowed to experience stories. The major way a plot step is formulated is with puzzles, battles, games, group steps or the dreaded click step. The puzzle is the main workhorse of the Neopian plot. Puzzles change each plot, and no two are exactly the same. Puzzles are often based on words, math, luck, or memory and are the parts of the plot most accessible to all users. Types of puzzles can include any of the following; mazes, logic puzzles, pattern spotting, maths or something completely unheard of. Mazes are common in plots; they can be top down (first step of the Faeries Ruin plot) or front on paths (Temple of 1000 Tombs in Lost Desert). Mazes may have dead ends, traps, darkness, a finding puzzle or any number of variables set around the story. They take time to solve, with dedicated users mapping their maze in case they have to return. Normally users don’t mind top down mazes at any time, but front on mazes happen mid plot. Logic puzzles require the use of the brain, and cannot be guessed through like mazes. Users enjoy helping each other with these steps, but once the solution is out, most users pass them easily. Sometimes logic puzzles make up the entirety of the plot, in events such as the Cyodrake's Gaze. Pattern spotting, such as the bookshelf sorting in the Faeries Ruin, are another kind of puzzle easily solved after the answer is dispersed among the Neoboarders. These steps require users to use trial and error to spot patterns and complete the set by finishing these patterns. Due to their flexibility, users normally like these steps as they seem unique. Maths puzzles are the final kind of puzzle to be briefly described. Maths puzzles, such as Decoding in the Return to Doctor Sloth plot, are often the hardest of all. Normally every user has a completely different answer, and these steps can be used to weed out people and spread them for plot points. Steps such as this can be the most memorable ones, with Decoding constantly being brought up as an example as someone’s “most or least favourite plot step”. Generally, puzzles provide the bulk of the plot points and enjoyment in a plot, but alone they make for very disappointing plot prizes. Plot points are spread out by scaling the difficulty, making each user have different answers, or by simply making the steps time limited. These steps are the most adaptable, and even the few mentioned here do not equal the sum of these steps. Battling is my personal favourite step of a plot. Battle steps allow for the scaling to be achieved better, and allow for better prizes in the prize shop at the end. They give users something to aim for during the next plot. If someone is unable to win very much in a battle step, they may train/zap for next year to get better. Some people love battling, others hate it, but it provides many boons to help a successful plot. By adding variety into the plot, battling pulls in another crowd of Neopets into the plot. Battledomers who may otherwise skip the plot, will now do it, driven by user made tournaments, plot prizes, and the chance to get unique combatants into their battle portfolio. Battling can make up an entire plot itself, and has done so during the Battle of Meridell, Curse of Maraqua, and Hannah plots. These plots are called War plots, and are a dying breed in modern Neopia. Battling uses a combination of skill and preceding training to allow for more experienced users to beat less experienced ones in the plot, while still allowing the less experienced users to be given motivation to train and play the game more. Originally there was no win limit on Battledome, but instead challenger limits. Plots with this structure worked on a first come, first serve basis and allowed for waves of new challengers to be released but still limit users. This was eventually upgraded into win limits, which meant that each Battledome combatant could only be beaten ‘x’ number of times for points. Traditionally, Battledome opponents are released in groups, ranging from easy to hard in order. This means that users could only beat them up to their level, and then they stopped. However, the Faeries Ruin evolved that, by re-releasing and resetting low difficulty opponents to allow for all users to play at all times. Adding battling into a plot is a good way to spread out plot points, and is a lot of fun for users that are less entertained by puzzles or games. With the new concept of re-releasing old opponents, Battledome has became accessible to all players and has helped make plots like the Faeries Ruin and Tale of Woe be enjoyed fuller. Adding games into plots is tricky, especially since there is already gaming events. To be good, a game added into a plot should be unique and temporary. While un-unique games have been used before, in plots like Tale of Woe, reusing games appears pointless in the eyes of the average user. Atlas of the Ancients, for example, had games that were clones of existing games, which caused complaints. Also, they were not deleted after the plot, removing from the idea that they are special. A good example of games in plots is in the Lost Isle plot, where users had to do a jigsaw puzzle in a flash shell. The game was deleted after the plot much as they should be. The main issue with adding games is that some users may not be able to play certain games on their computer, and since every person’s flash runs at a different speed, it is possible that it may be unplayable for some, but easy for others. These enjoyable steps are normally the most unique of all plot steps, and they also represent one of the few times Neopians can truly work together in a plot. Normally time limited, these steps act as a way for users to get bonus prizes and work hand in hand with their friends. From a technical standpoint, however, this is a hard concept to get right. A group step needs to be easy enough everyone can do something, but hard enough to remain interesting. Users may quit their groups and infuriate fellow users, which also has to be dealt with by staff. Group steps have been in most plots, Lost Desert, Tale of Woe and The Faeries Ruin being the most memorable of those. While group steps often provide the least physical prize rewards, the mental rewards mean that a good group step goes a long way to help users learn to like a plot. Although used previously in plots such as the Altador plot, the Click step is most well known in the Atlas of the Ancients plot. In these steps, users are asked to click around a certain area, or on a certain part of a page/comic to get a reward or to the next part of the plot. Events such as Tarla’s Mystery Tour capitalise on this and have users clicking all over the site. The general consensus on these steps is, “Please, No”. One click-step per plot is acceptable normally, and can be included with little detriment to the plot’s overall reception, but too many will alienate users. Click steps often involve refreshing over and over with very little more thinking than that required. Some events, such as the Negg Festival, do this slightly better, by making users solve a riddle to find out where to click. By combining the first four of these plot steps, and avoiding the dreaded click step, users will be much happier overall with the quality of the plot. Just as a total Battle Plot would gain complaints in the puzzle community, a total Puzzle Plot would incur the (grapes of) wrath of Battledomers. For a plot to be well received, it normally shouldn’t start with an unbeatable super duper amazing university level math proof. Low level plot steps normally are easy, moving onto more difficult steps and battles. If a plot step starts too hard, or is too easy for too long, Neopians may be upset by the level. A good plot should start slow and move faster during the end. This is because while users often remember the more difficult steps near the end, without a good start, users won’t be as hooked in to begin with. A good way to get a plot to be enjoyed is by having relics of the plot remain after the fact. Moltara being introduced, Maraqua being sunk, Shenkuu’s discovery, Faerieland falling... all these are examples of world changing events caused by the plot. This was a lot more common during the days of wars, as whole worlds could get destroyed just based on who won a war. However recently, discovery has been the cornerstone with new worlds being discovered during the plot as a plot point. If a plot has a trip to a new world, a good plot should allow users to visit it. Not only does this allow for the world to expand with the story, but it gives users a sense of accomplishment that is not present with prizes alone. Adding to Neopia’s history like this allows for new users to have the chance to go back to the discovery of worlds long after the plot is finished, and relive it in a unique fashion. Adding dailies to these new areas makes them especially attractive to users, with people more likely to look favourably back at the plot. No, this does not mean users doing steps; in fact it is strongly tied to world changing events. User participation can mean anything from giving people choice of whom to support, such as in wars like Curse of Maraqua and Hannah and the Ice Caves, or simply by TNT writing the plot as they go and listening to user comments in the making of the plot. This was seen most recently in the Faeries Ruin; not only did it undo the mistakes of Atlas of the Ancients, but the staffers were making it as users were playing it. This level of User Participation adds a level of personal attachment to the plot, a feeling that “Yes, I made a difference” for users. First added in Atlas of the Ancients, this concept was originally very un-desirable. Though the act of receiving prizes mid plot was not unheard of, it was more like a rare gift. Atlas, however, created a plot in which all rewards were received ongoing, by completing small tasks. This made users complain, and ruined the concept of the prize shop. However, this does not mean achievements should be overlooked as a concept. Achievement-filled plots can be very positively looked at; the Altador Cup completely re-wrote what was expected by achievements. In this site-event, achievements and prizes were received for doing small tasks, but did not replace the final prizes. This spilled over into the most recent plot and evolved, allowing for a seamless combination of achievements and prize shop. A relatively new concept in plots NC is an unwelcome addition to a plot. However, there is a right way and a wrong way to implement NC. If implemented correctly, an NC event in a plot will not only not make users complain but give them motivation to spend. Atlas of the Ancients did this wrong, adding on an NC Challenge, logo included, onto the plot page. This NC challenge seemed more like a plot than the plot itself, and gave users a sour taste in their mouth. The NC Challenge logo is fine for site events such as Daily Dare, or Altador Cup, but can look tacky and overstated in plots. Another problem with NC in plots is that, if a challenge is set, then the length of the plot is also set, which instantly crams the plot into a small window and reveals too much about the nature of the plot in the FAQ. Once more a new shining beacon, Faeries Ruin helped change all this. By releasing a plot shop in the NC mall, and an event with very cool items, TNT was able to sell its wares without making users feel uncomfortable. It also gave TNT a whole new revenue stream if they choose to continue making and retiring items for the machine. Being understated like this will not only convince users to buy more, but make sure that they do not judge the plot on its NC component. These other concepts are related directly into how the plot is done. These are uncontrollable by users, and have the strongest impact on their decision on if a plot is good or bad. However, certain other aspects make a good plot, behavioural aspects dependent on previous plots in the past. Even today people hold up the Lost Desert plot as a beacon of plot excellence. While well earned, it affected the plot which came after with negativity, At the time of its inception, the Tale of Woe was negatively received by users due to the lingering memories of the Lost Desert plot. While the plot itself was of high quality and the steps/battling made it one of the best, users still compared it to the grandeur of the Lost Desert plot. Over time, the plot was eventually recognised as a good plot after a series of less than impressive plots. From this we can see that plots themselves are judged by the preceding one. While a good plot to begin with, the Faeries Ruin will be remembered more fondly on the basis that the Atlas of the Ancients plot was less than stellar. Considering just how positively the Faeries Ruin plot has been received, the next plot will be considered worse than it is, no matter how good it may be. Plots are a defining feature of Neopia and Neopets as a whole and are a constant draw for new members. By understanding the motivations behind what makes a good or bad plot, users will be able to fully comprehend the responses of their peers, and learn to make constructive input rather than mindless ranting. Gary the Grarrl once had a happy life. If you want to make it out of the day alive, read the following tips. Follow them to the letter. If successful, you'll be kissing that valentine goodbye! No pun intended. Apartment for P3 for rent in condo. Please no pests. Also for rent.